Mesmerized by theater and the storytelling involved, Randee Trabitz wrote and directed her first play when she was in fourth grade. It seems she never stopped since. She went on to do stage managing, screenwriting and directing. She’s a story analyst for Disney Animation. She was a theater critic for the Los Angeles Weekly. Trabitz, a Cal State LA graduate school alumna, was back on campus recently to direct “We, the Invisibles.” It’s a documentary-style drama performed earlier this month involving actors playing characters from a luxury hotel in New York — the scene and others who were in the true story of an immigrant hotel worker who alleged that IMF chief Dominique Strauss-Kahn sexually assaulted her. “The last performance was very satisfying…It is always bittersweet to end a show. The cast worked so hard” and really became a team, Trabitz said. Colleagues described Trabitz as an energetic, inspiring and hard-working director. “I think she is very brilliant. Working with her is always exciting because she does not stop. She does not even sit down…She has some sort of Adrenaline rush the whole time. She is excited to be in the theater,” said Meredith Greenburg, chair of the Department of Theatre and Dance at Cal state LA. 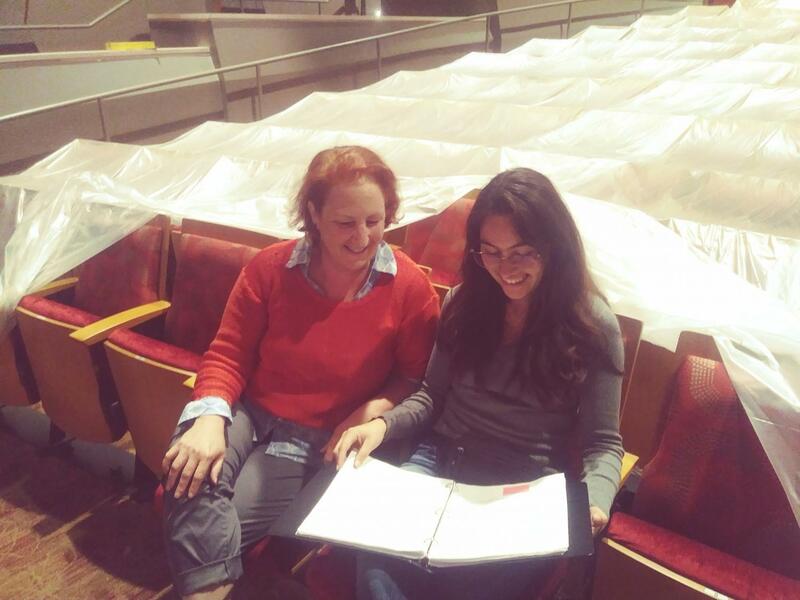 Greenburg first worked as a stage manager for one of Trabitz’s plays in Hollywood in 1998. They worked a few shows together after that. David Alvarez, who has worked with Trabitz as a stage manager and an actor, said she strikes a good balance between being in control of a show and allowing actors to have voice. “She guides you where to go while letting you add yourself and some flavor to your character. She’ll ask a simple question about your character or about what your character is attempting to accomplish and these little questions bounce between your ears before a sudden realization comes about your character,” Alvarez wrote in an email. Trabitz’s experience in directing and scriptwriting spans over 30 years. In 1983, she earned a bachelor’s degree from NYU’s Tish School of the Arts. She has advised scripts; worked as a story analyst for Disney Live Action and 20th Century Fox; and taught numerous courses and workshops. As a graduate student, she was even a teaching assistant at the University Times course. She won the “best direction” honor by the L.A. Weekly and by the Garland Award. Trabitz, whose dad was an oral surgeon and mom was a teacher, said her passion for travel led her to work on productions abroad in Greece and Germany. Her husband is a philosopher and her daughter is also majoring in film studies. Her next show, “Blacktop Highway,” opens Nov. 9 at the Odyssey Theater. Rebecca Bermudez, the stage manager for “We, the Invisibles,” said Trabitz is a “wonderful human being” who supports employees. Bermudez and several others interviewed raved about another talent of Trabitz’s: Her baking skills.